We don’t make a big thing about decorating the house at seasonal times. But at Christmas having a tree is pretty much essential despite what the other half says. 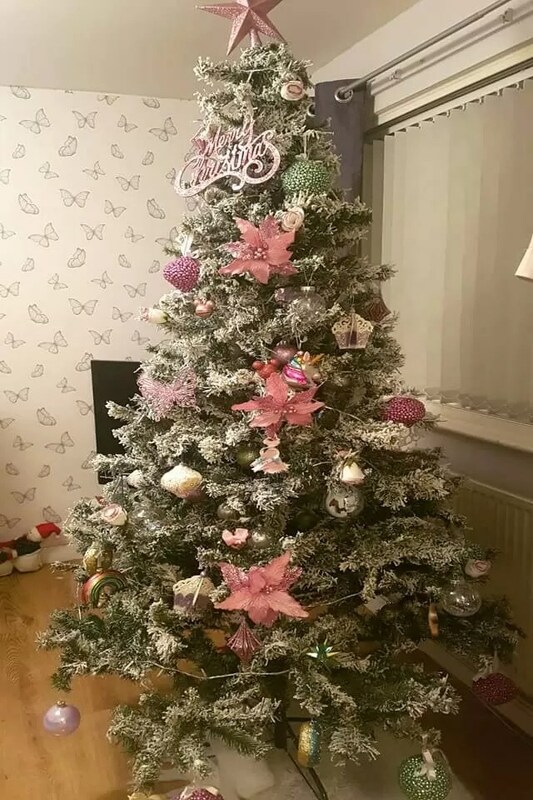 But when you grow up it’s time to make that decision about decorating your tree whether you’re going to go for one colour scheme or change it year in and year out. All of course go wild with all the colours and threw caution to the wind against tasteful muted colours. It seems a silly thing to worry about and I’m sure not many men care one way or the other. Mine’s a bit of a bah humbug so he’d prefer the house stayed as it was on there was no tree. But he can’t really move given that we have a child as well. A big part of Christmas is the spirit and magic of the season and having a Christmas tree in the corner of the room to glance up and see the lights, just makes me smile every time. I don’t really remember a time when we had a mixture of lights on a tree but growing up in the 80s I’m sure we must have had multicoloured decorations at some point. I only remember my mum deciding to move from 3 colours, removing the green to stick with two colours – red and gold. I do remember many a Christmas at both grandparents houses both of whom had those vintage lights on their tree and particularly hideous ornaments. As well of course as those retro glass baubles with the silver cut-out parts which seem to be making a comeback if Instagram is anything to go on. I obviously take after my mum because I am much more partial to a more subtle colour tree. Or maybe she just trained me well to follow her tastes. We never really did a real Christmas tree growing up. A brief foray for a couple of years before my mum realised she would get urticaria from the needles, and the tree went back in the garden to stay while we reverted back to an artificial tree. A real tree smells amazing and the whole idea of going to choose your tree from a Christmas Tree Farm is tempting, but thought of all those needles and trying to keep a tree alive for the requisite time, puts me off. 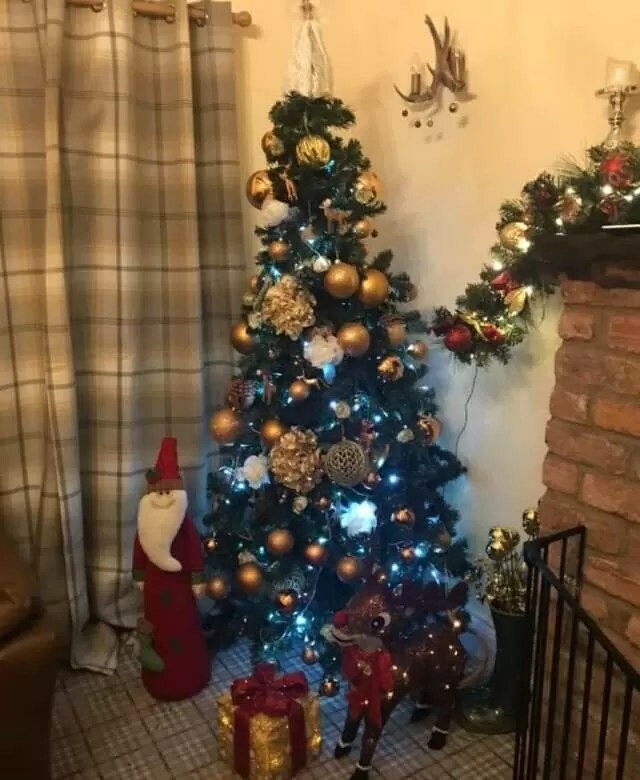 When I moved out of home to university and then house shares, having a tree wasn’t important as I was never really around over the Christmas period because I’d go home. So I could enjoy my mum’s tree. But once I was married it was time to go to town and create my own piece of Christmas magic. I’ve gradually move from a 4 foot up to a 6-ft tree and every year I say I’ll buy 7-ft massive tree in the sales ready for the next year. But I never get around to it so we’ve had this tree for nearly 10 years now. It’s not doing badly and hey it’s pretty sustainable to keep it going. The bonus of keeping the same tree it’s that you know exactly where your baubles go how the tree is going to look and that it fits in the corner of the room that you need it to fit into. I always thought that I would have my mum’s old Christmas decorations when she died and I was due to have them. But when it came to it I didn’t want a red and gold scheme and didn’t have the foresight to think that I might do in the future. Or that N might want his own small tree and that we could have made use of the box. So they went to charity or sold on and these years later I kind of wish that I’d kept hold of them for the memories if not to use. Nowadays it’s so easy to get hold of cheap baubles you can easily fill a tree from shopping from cheap places and then gradually building up nice and more precious and sentimental decorations. I suppose if you’re someone who wants to change your colour scheme each year similarly it’s not that expensive to change from one bobble set to the other but probably not far off a tenner on a small tree. I’ve heard of people who have built up their collection from when they were a little girl as part of their family tradition. 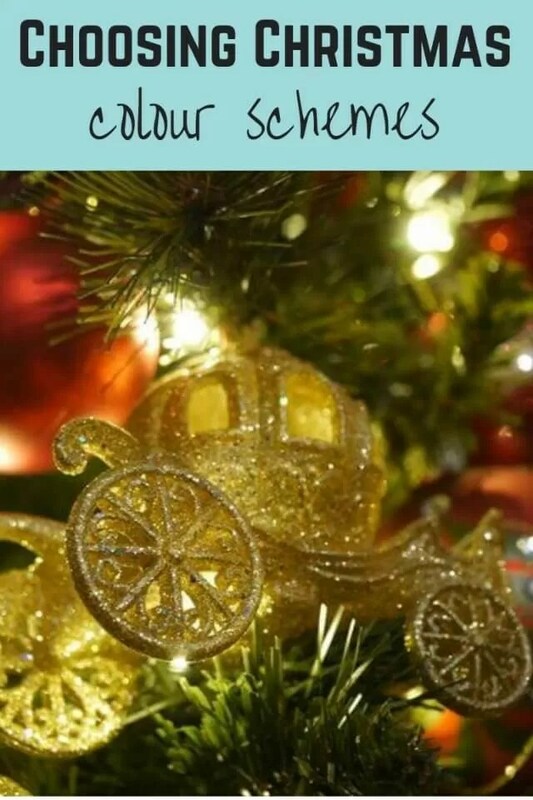 As parents you can start your children off by buying a bauble each year for them especially if you’re visiting somewhere new and create those sentimental memories for each year a bauble is bought. Over 18 years you’d end up with a pretty good collection of decorations by the time you’re ready to move out. I think it’s a lovely idea especially if you’re willing to mix and match your colours, but a bit harder if you want to go down one couple of scheme and that’s not the colour at the baubles that you have. I built up my collection gradually starting with a small tree I didn’t need that many baubles so just bought a few basic packs. Each year I then made the effort to buy the most special bauble for two and it doesn’t take long for a collection to add up. Buying in the sales means you can get some pretty amazing decorations for bargain prices. You just need to watch out a buying online doesn’t mean you end up with smashed baubles turning up because they’ve not packed them well enough or delivery drivers have thrown them around. Some of my favourite baubles have been brought from John Lewis Marks and Spencer and TK Maxx. Garden centres can also be a favourite place to find pretty Christmas decorations and they usually have amazing displays to look at and get in the Christmas spirit at the same time as shopping. 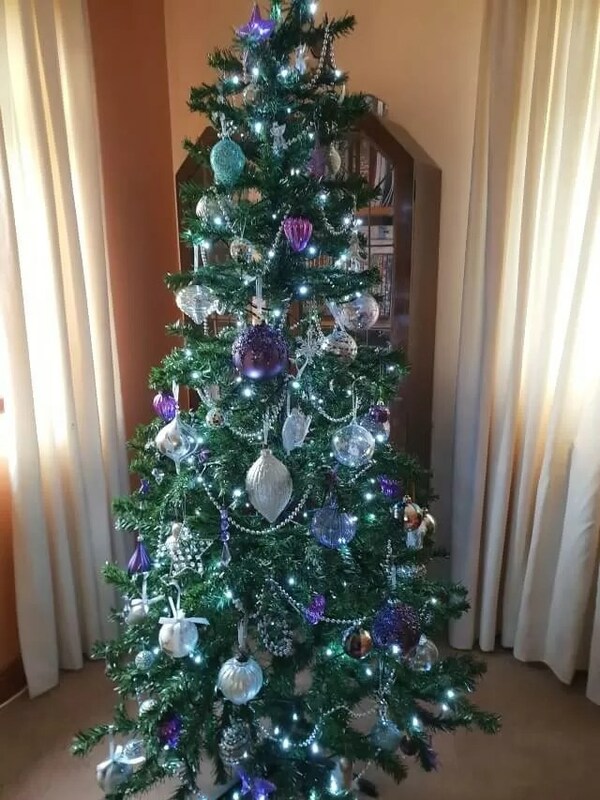 I decided my colour scheme when I first moved in with the other half because at the time I was working for a company that had beautiful Christmas trees in the building decorated in their corporate colours of purple. I added in silver and all these years later I’ve stuck with those colours because it just looks so pretty and it’s a little unusual. For the last two or three years I’ve been trying to add in a third colour. But despite jewel and peacock colours being on trend about 4 years ago, ever since the time I decided I wanted to add until to my colour scheme. I’ve never been able to find any baubles the right colour. Nowadays it seems to be mints, whites and pale colours so I’ve just stuck with the two for the time being. I’m now thinking that I want to change into next year. The question is, do I go for something totally different or do I gradually build it in and phase out the purple? It’s not cheap to change dramatically from one year to the next and as I like to pick nice pieces rather than cheap baubles I think a gradual change is the best way to go. What colours to opt for. I want to stick with the silver and clear because it does pretty much go with everything. While I love the mint green it’s a bit pale and I’d like a stronger colour in there. Do I add in a more traditional colour like red or do I go for something a bit more wild? I’m not really worried about what’s on trend or not because I’m intending to keep the colours for a while so they just need to look good and very classic without dating too much. This time I’ll definitely keep the outgoing colour stored so I’ve got the option in future to bring it out if wanted. Stick with metallics and add gold to the silver for a bit of clashing colours. A hot pink or copper could potentially be added in as well for an added pop of color. There’s a lot to think about. Bringing in one new colour gradually works well but it does take time to build up your collection. It it’s an off trend colour I need to bear in mind where I will be able to buy that colour. Will I be able to buy it from more than one year, is it everywhere or fairly limited? Which then has an impact on the price that you might have to pay year on year. Also, am I going to be able to get exactly the right shade I want. This is why I’ve not moved to add in the teal to my existing colour scheme because I just couldn’t find the right shade it was either too green or too pale. So I’ll be looking out in the sales to pick out some new baubles, some new colours. Hopefully by the time the next holiday season comes around, I’ll have a different look to my tree and be pleased with the colour scheme decision I’ve made. 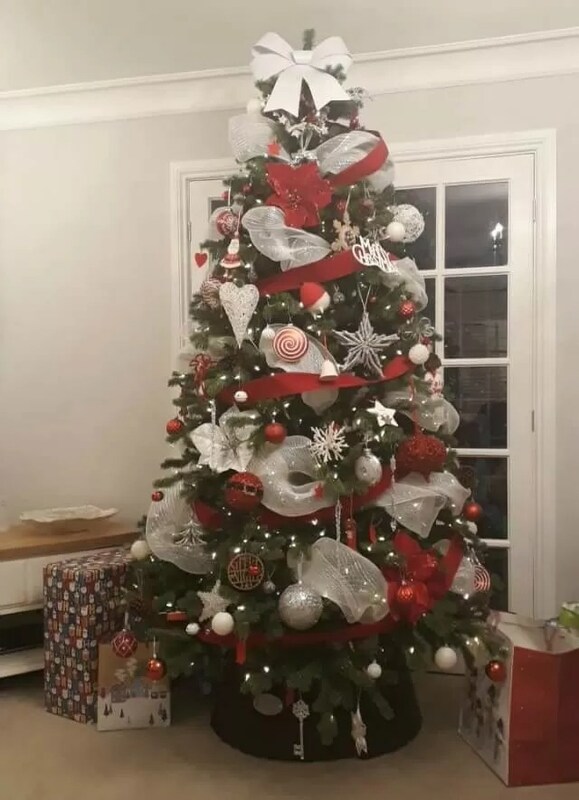 What colour scheme do you have when your Christmas tree and decorations? Have you ever changed your colours and how have you gone about doing so?